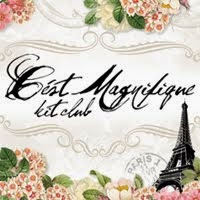 C'est Magnifique Scrapbook Kits and Store: April Bits & Pieces Giveaway! The giveaway will close at midnight, April 12th. The winner, selected by a random draw, will be announced the following day. Good Luck! Thanks for a new chance. I love the April kit and want more of it! Thanks for the chance to win. Sikken en dejlig candy, den vil jeg da gerne være med i, jeg håber på mit held, jeg er følger, du er i min sidebar og her en lille kommentar. knus morkaren. Thanks for the chance to win this fabulous giveaway! 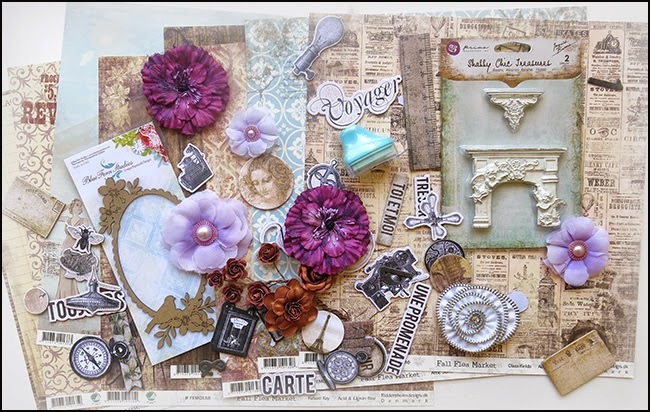 Beautiful Bits and Pieces Giveaway. I am a follower through Bloglovin, thanks for the chance to enter. That's a lot of Bits and Pieces! Yup! I am a follower of your blog. What a lovely collection of goodies you have for the giveaway. Come on over to my blog for a chance at a giveaway too, with the One World One Art event, mostly to connect bloggers world wide. The giveaway is just one of the lovely things about this event. Here is my email contact just in case I win! What a fab giveway! Have been watching you for time!!!! You are an inspiration,tfs!! !